After the train wreck that was Orange County Choppers, I've been a bit reluctant to commit to any motorcycle related reality TV shows. What I like most about the custom scene are the friendships it creates and the sheer fun of having a go at creating something functional and cool. What I'm not interested in watching are big egos and useless trailer trash. Thankfully there's finally a series that seems to have the formula right. The Discovery channels 'Goblin Works Garage' is a 6 part series that follows a madcap group of UK custom builders as they bring their crazy ideas to fruition.
' along with teaming up with the Goblin Works crew. 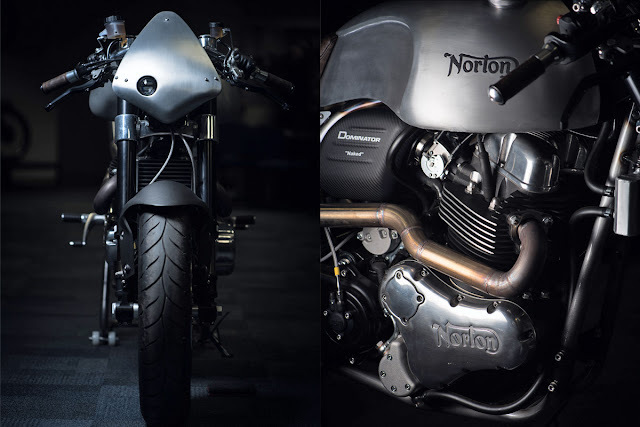 During the first season of the Goblin Works Garage series, Anthony and the team ambitiously set out to build 6 custom cars and 4 motorcycles including this rather striking Norton Domi-Café. This bike though was never planned to be one of them. Anthony set out to purchase it as his daily rider, but on the day he went to collect it from Norton HQ something very special happened. "The commission for the build couldn’t have come from a higher place," says Anthony. 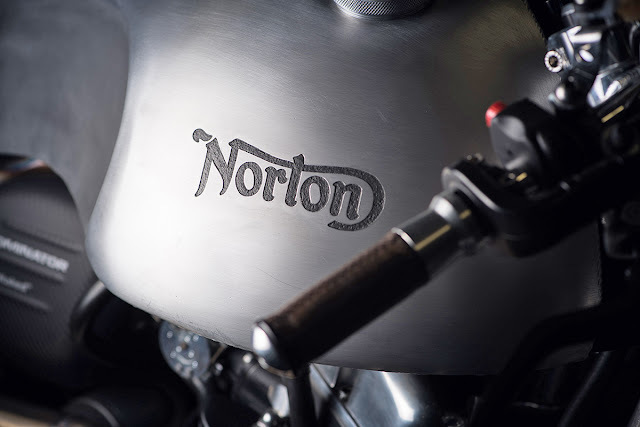 "Norton CEO Stuart Garner pulled me aside and pitched an idea. The idea was to build a café racer concept bike for Stuart and Norton. 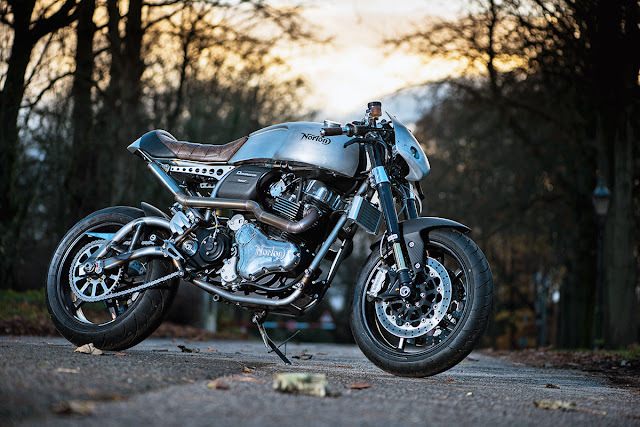 Stuart asked me to build the best Brit cafe racer, bar none, based on the 2017 Dominator Naked edition platform." "The Dominator is the sort of bike most people wouldn’t dare touch," he says. "It’s gorgeous out the box, loaded with heritage, and kitted with nice bits like carbon fibre trim, Brembo brakes and Öhlins suspenders. The Naked edition’s even sexier, with a raw effect on the frame and matt finishes all over. What’s more, this is the only custom Dominator Naked on the planet—and the first concept bike commissioned outside of Norton’s own design team. So not a daunting task whatsoever..."
"How does one take, in my opinion, one of the prettiest production bikes ever made, and make it better? Or better yet, not f*** it up?! The answer is restraint. 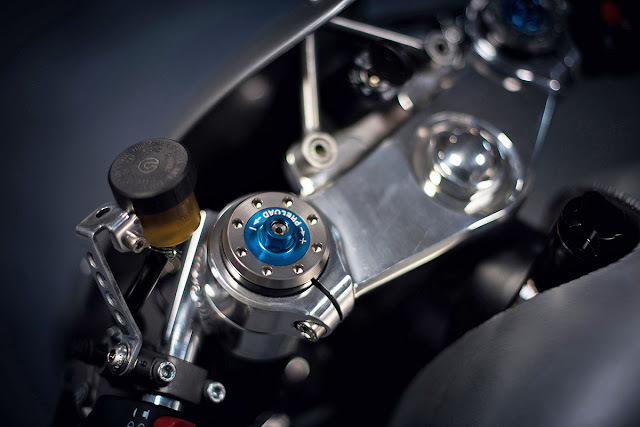 With a mandate not to cut the frame or modify the geometry so that the bike could serve as inspiration for further development, I decided to nip and tuck rather than start from scratch." "I went back to what a café racer is, and what they would do back in the days of the ton-up lads. Strip off as much weight as possible and throw away anything not needed to ride! The idea was to keep it as simple as possible. This was just a styling exercise, so I focused on the aesthetics and lines of the bike. I made some very subtle changes but at the same time some very dramatic ones too." When he says "dramatic" changes Ant is referring to the modifications made to the Dominators bodywork. Up front there's now a tightly proportioned fairing sporting an off-centre HID headlight. 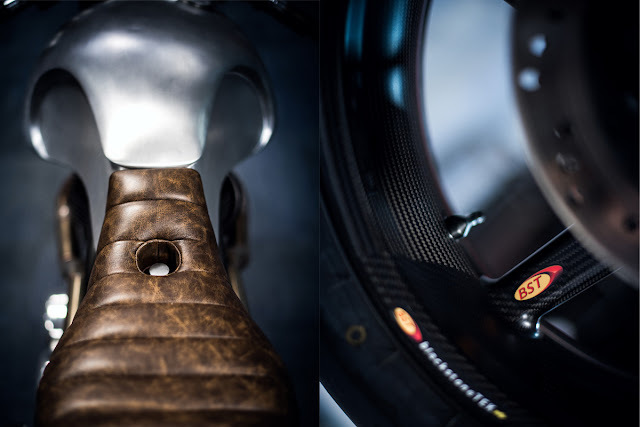 A similarly styled alloy cowl at the rear caps off the custom tuck and roll saddle by Eastcoast Customs, and the fuel tank is the original item that's been lengthened and reshaped to Anthony's taste. All of this was made possible during a tight shoot schedule thanks to his good friend Lauren at Storik Metalcraft who leant a hand shaping the alloy. The Dominator's exhaust is another dramatic modification that ended up being dictated by time. 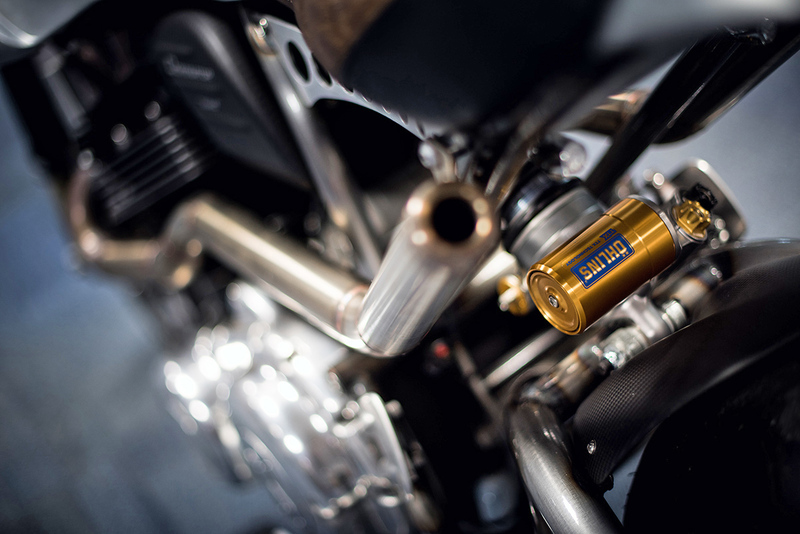 "It's a hand-made stainless steel twin exhaust system." Ant explains. "It was not the original design and I'm not 100% satisfied with it, but I was let down by my metal supplier when they sent me mild steel for the exhaust by accident. As they say 'the show must go on' so I sourced some elbows and bits of straight stainless to nock them up without an inch to spare, literally!" Another big difference between this bike and the original are the BST carbon fibre wheels that greatly reduce its overall weight. 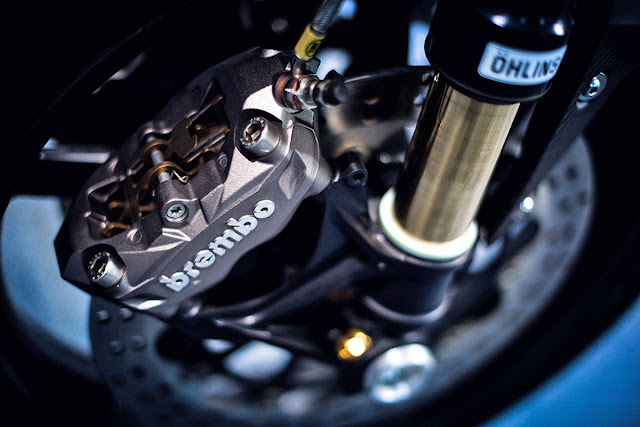 The rest of the modifications tighten the bikes lines or adapt them to complement the revised bodywork. 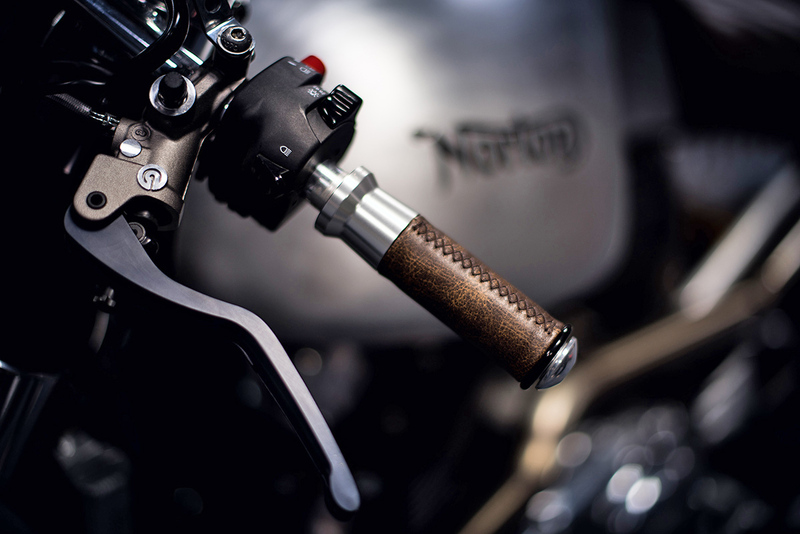 A few tweaks include trimming down the drilled factory side panels, fabricating custom brackets to remount par, wrapping the grips in leftover seat leather and replacing stock lighting with low profile items from Rizoma. As if the Dominator wasn't good looking enough Ant's Domi-Café takes things to a new level of head-turning attractiveness. If you'd like to see and hear this beast in action readers in the UK can watch the episode now on Discovery. 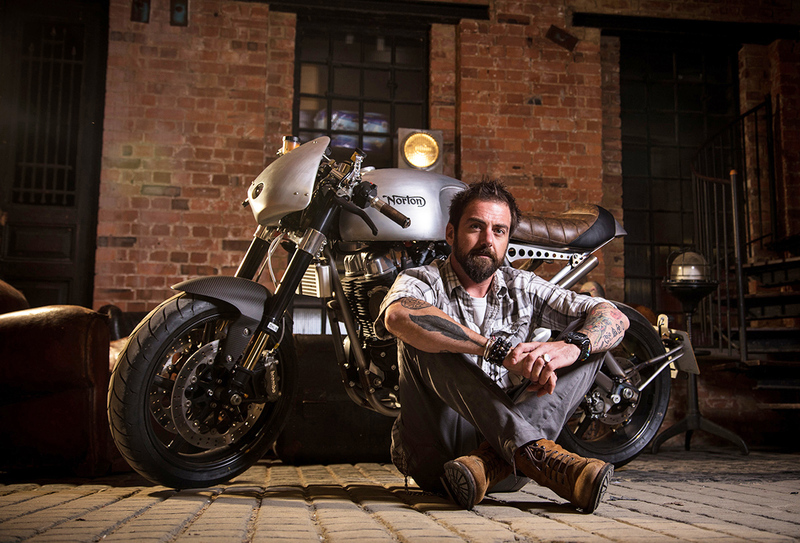 If you're in Australia episode 1 of 'Goblin Works Garage' premieres tonight (4th May) on Discovery Turbo.